Because I am a product of another century I like to read bound books, newspapers made of it, listen to music from a good sound system in my living room and watch DVD movies on a Sony Trinitron that has yet to give up the ghost. With my wife I read in bed every morning the Vancouver Sun and the NY Times. I don’t wear white gloves but I do indulge in breakfast. My Rosemary and I alternate on who prepares it. I read the Vancouver Sun because it is the best city newspaper we have. Nobody would contest this. Vaughn Palmer has helped me to figure out the teachers’ strike. I read the NY Times because I like the writing, I like its weekly book review magazine and the NY Times Magazine is one of the best magazines anywhere. In my forays into social media I note that many link to articles in the NY Times. They must also know something about quality. In today’s (I am writing this Friday night, September 5, 2014), I noted the full-page photograph on the cover of the Driving Section. It announces a luxury supercar weekend. The article is by one of the best free-lancers around. He is Alyn Edwards. In a distant past I worked with him via instructions by our Vancouver Magazine editor, Malcolm (then called Mac) Parry. Edwards who loves cars at the time had a peculiar obsession in restoring and collecting Meteors, Thunderbirds and convertible hard-top Fords of the mid to late 50s. I remember that Edwards, who lived in Belcarra, had rented as many nearby garages as he could to manage his collection. With all the good things to be written here (up there) I can now (down there) rant. I almost never rant but this time I simply could not resist the temptation. What led to this was seeing a photograph of a well know Young Canadian singer/songwriter photographed for an article about him in an advance on line version of Saturday’s Vancouver Sun. One of the most photogenic faces in Canada is rendered blah by a very good photographer who must have been going through digital moments of distraction. Had I been the photo editor (I was once) I would have sent him back. 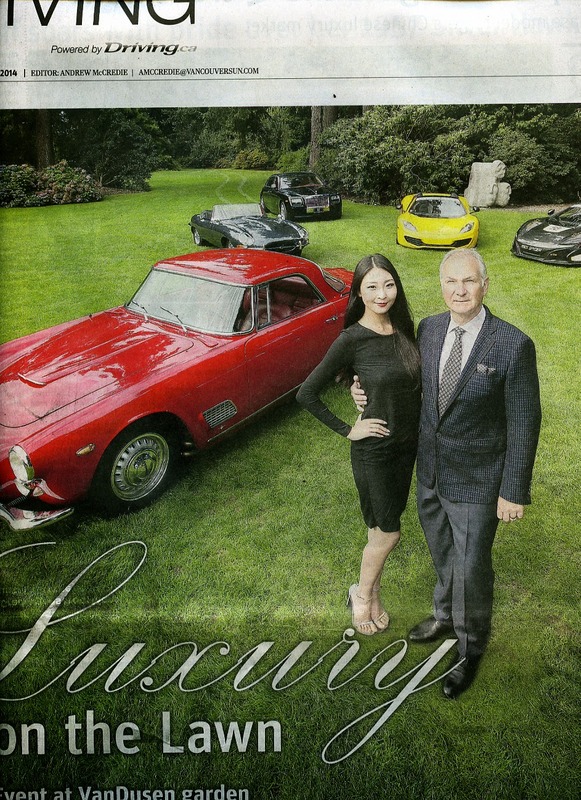 The cover of Driving featured the Concours chairman Nigel Matthews (so named) holding on to a lovely model (not named). Behind them there are five beautiful and exotic cars. I was unable (and I am pretty good at this) to find the photograph on the digital Vancouver Sun. What you see here is a partial scan. In this 21st century we no longer (there are some stragglers here and there) see photographs of buxom women leaning on Harleys or Corvettes. Many feminists would call that exploitation. So would I.
I post plenty of women not wearing much in my blogs. But I think I do it with respect and I try to enhance a universal idea about the beauty of the human body. Since I am not a puto (but I am most liberal about gay rights) I do not post lovely pictures of men with little on. I am understandably not interested. So I would like to know how the Vancouver Sun can justify to publish a well taken, colourful, sharp and nicely composed photograph of a man holding on to an unnamed woman? I know they accuse me of arrogance, and perhaps misanthropy, and perhaps of madness. Such accusations (for which I shall exact punishment in due time) are derisory. 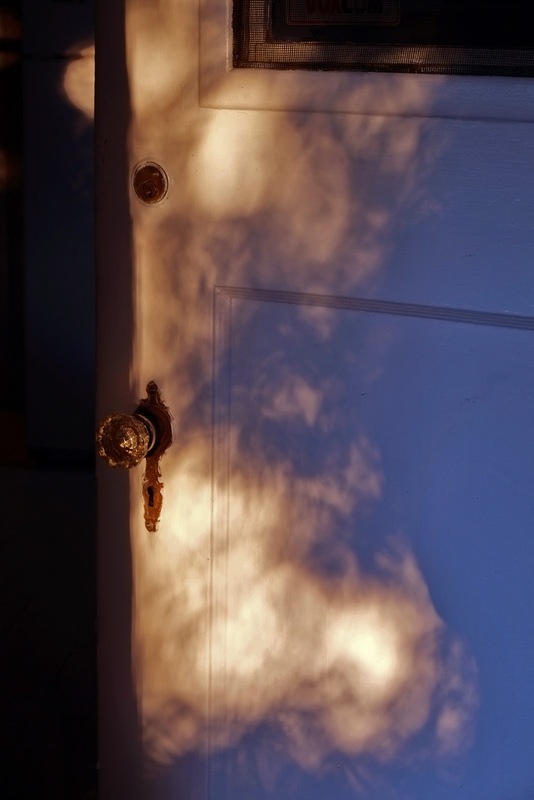 It is true that I never leave my house, but it is also true that its doors (whose numbers are infinite) (footnote: The original says fourteen, but there is ample reason to infer that, as used by Asterion, this numeral stands for infinite.) are open day and night to men and to animals as well. Anyone may enter. Sé que me acusan de soberbia, y tal vez de misantropía, y tal vez de locura. Tales acusaciones (que yo castigaré a su debido tiempo) son irrisorias. Es verdad que no salgo de mi casa, pero también es verdad que sus puertas (cuyo número es infinito) están abiertas día y noche a los hombres y también a los animales. Que entre el que quiera. Sanity (or an escape from madness), in my case comes from being able to do something. These days the only thing I seem to be able or willing to do is to sit in front on my computer to write. At one time my early daily blog (in the years right after January 2006) was a problem. I had to find something to write about. I would go to my photo files and randomly sift through names. A name would ring a bell. I would take out the file, scan one of the pictures and sit down to write. This has changed. I do not need to go to my files. 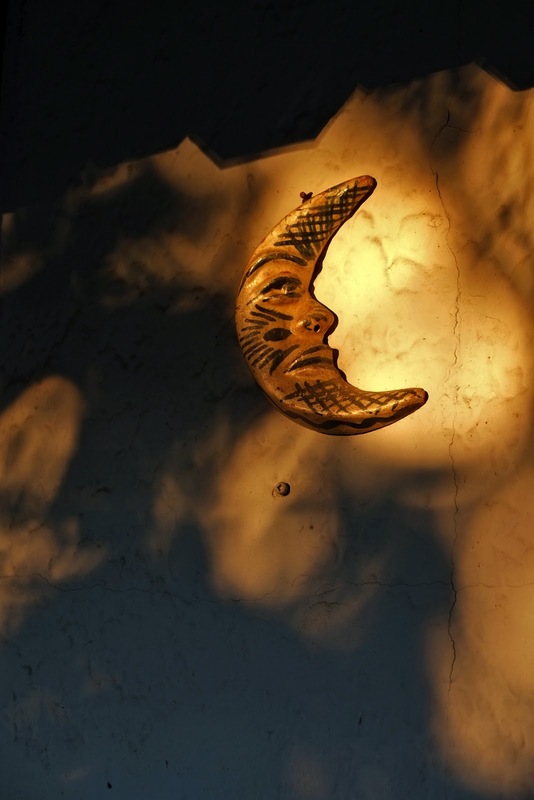 What I want to write about comes into my conscious awareness in non-stop cataracts and sometimes at night in a dream. Finding something to illustrate that idea, is easy; but not always. If I have a particular photograph in mind I get flummoxed and depressed when I cannot find it in those files. Sometimes it is misfiled and sometimes lost in the mess. The catch is that a blog per day is not sufficient to contain the flow. I could easily write three or four. A birthday (and I am writing this a few days after August 31, 2014) for me has always been a melancholy experience. It conjures all the people of my past who are gone. I miss them and it becomes more so on days like today, those waning days of summer. I miss my childhood garden parties in Buenos Aires with all my first cousins and friends. A birthday in some way does remind me of my place of birth more than in any other day. More than any other day I look at this city and I feel I am a stranger within it. The mountains are alien and the cold cyan sky gives me goose bumps and I shiver. The English I hear feels wrong. It rarely does not rain enough so that one can smell the pleasure of just wet pavement. My only escape in a day like today is to sit down and read Borges. I read his poems about going back to his childhood homes. Reading those poems I can smell that special smell that follows the watering of geraniums and ferns in a patio. I can smell the humid dust that blows in with the pampero (a strong wind from the south) before the inevitable rain and that lovely smell, a petrichor. The Spanish of Borges is comforting. Comforting but isolating. My friend Juan Manuel Sánchez is gone. Raúl Guerrero Montemayor is dead. My connections to that language of romance are just about severed. All I have are the poems of a blind and then dead poet by my beside table. Amongst my late summer melancholy I have latched on to one piece of positive wonder. I cannot read Dante in Italian or Goethe in German. Saramago in Portuguese is tough and my French is nonexistent. I must read Dumas in Spanish or in English. But consider this. I can read and enjoy Shakespeare (and Chaucer) in English and Cervantes in Spanish. I might just add that I can read Jorge Luís Borges in Spanish. I am afraid that my bragging will go one notch further. So many of Borges’s stories and poems are about Argentina and of Buenos Aires. He wrote about a historical Argentina (his ancestors of the 19th century). These stories are thrilling but not as thrilling as to read about a Buenos Aires or an Argentine Pampa that I saw, smelled and walked. 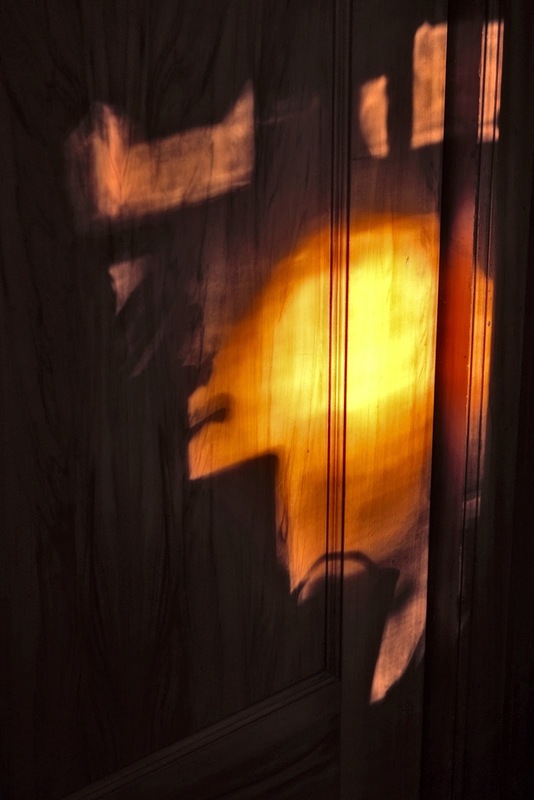 In fact there are precise corners in the Buenos Aires poems of Borges that are in my memory. As a man who was going blind he describes smells and sensations of touch of places that I lived, too. It is not enough to be able to read Spanish to read Borges. You must have lived in the city he wrote about. Reading Borges is like being a Dorothy whisked away by a windstorm from a black and white life of alienation to a world of loving memory where the ripe colours do not manage to whisk away the melancholy of an isolation that I could describe as being a penguin from the Antarctic who has been thrust into an out of place Arctic. The first two lines in Argentine Spanish (verja is a Spanish word used by Argentines to describe a wrought iron gate) cannot be translated. Those two lines instantly take me to my house on Melián. I might even imagine my friends and cousins rapping on the verja to come in to my August 31 birthday party. Untranslatable into English is the title Llaneza, A llano is flat plain, a pampa. 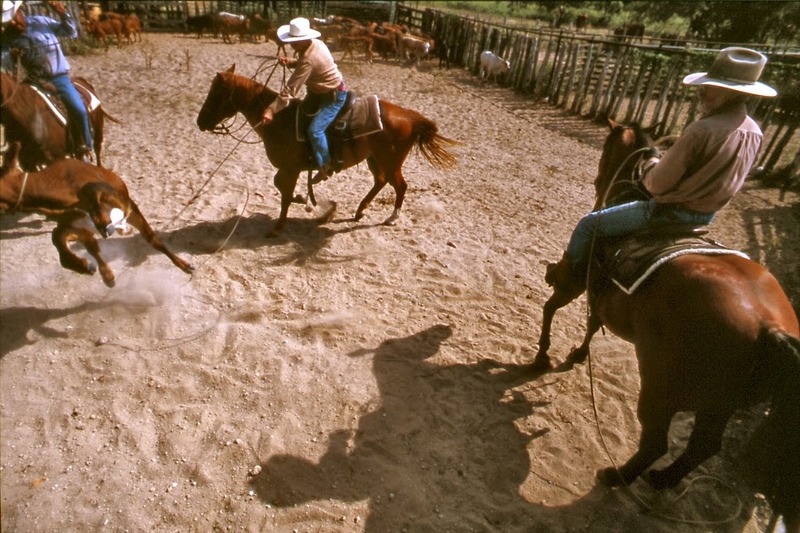 El llano is always out there beyond the urban sprawl of Buenos Aires. There is this beautiful poem about rain in which time and again Borges mentions a rose (I believe not as much as his obsession with mirrors). Simply does not bring the beauty of that Borgesian Spanish. It may have something to do (and I cannot explain it) with that accent in cayó. I remember when reading the poem that lovely Argentine word for steady drizzle, garúa. I am no longer alone. There is someone there. Interesting it is that the translator in that last sentence misrepresented Borges’s meaning in order to keep the rhyme! It should read Therefore they do not alarm. 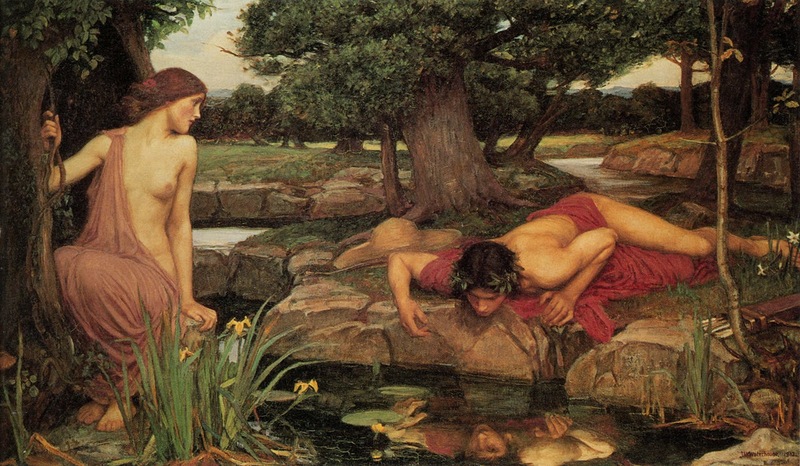 During most of my life I have been attracted to and pulled by mirrors. I may have been 6 or 7 and my mother had been doling out to me American candy corn (never enough of it) from her bedroom armoire. One afternoon I decided to help myself to more. I opened one of the doors and snatched the bag of precious American Embassy booty. As I was about to feed myself I noticed that there was a mirror on the inside of the door. I stared at myself. I saw a stranger (There is someone there). Then slowly like a big explosion in my head I identified that stranger as myself. Perhaps on that day I became an individual. Perhaps hidden from me but instilled by the guilt I felt in hoarded all that candy corn, the idea of something called death. Borges writes and wrote about labyrinths, tigers, roses, mirrors, blindness and death. These days past my recent birthday I feel, as the heat of the waning summer, a sense of alienation from my surroundings. When my friend, Argentine painter Juan Manuel Sánchez (who alas moved back to Buenos Aires some years ago) and I used to sit for coffee he would often talk of a Canadian love for penguins. One of our favourite places for coffee, on 16th and Oak, had the penguin symbol on its window. Sánchez would smile in puzzlement until we found a mutual common ground. Everybody knows that penguins inhabit the Southern Hemisphere (and creep closely to the Equator on the Galapagos) and that polar bears live exclusively in the Arctic. We decided that the two of us were penguins in the arctic, out of place and particularly in the opening days of the 21st century, out of time. In 2011 I decided to drive our Malibu to Austin and south Texas. My Rosemary and I were accompanied by our two granddaughters, Lauren and Rebecca. 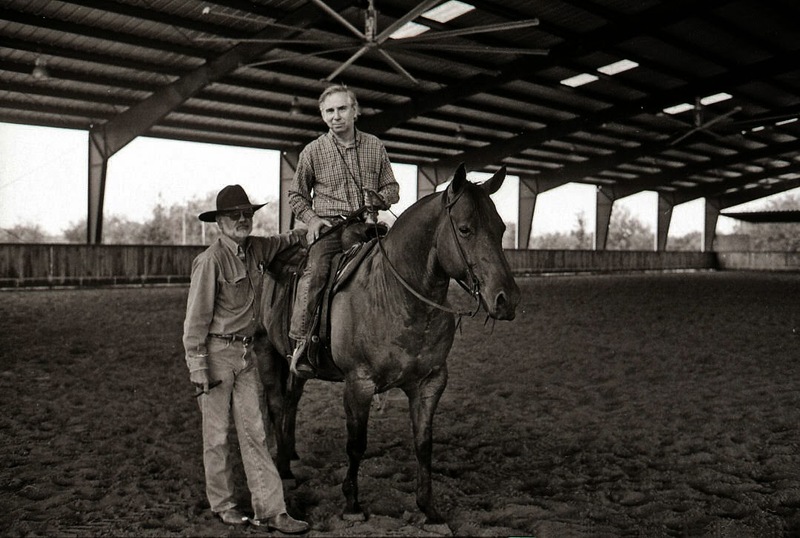 One of my goals was to visit my friend Mike East at his ranch. 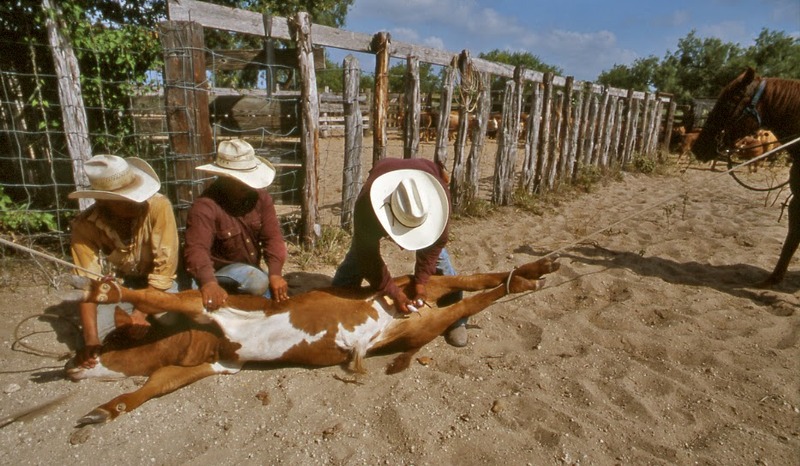 While my family had a bit a problem navigating around the possibility of rattlesnakes and an intense heat I was comfortable with it all including the dust I encountered during the castration of soon not-to-be young bulls. At the large ranch house we seemed to hover and live in the kitchen where we ate the best Mexican/Texan food imaginable. The jingling of East’s spurs early morning, en route to talk to his cowboys, was music to my ears. I have chosen to illustrate this blog with a snap taken by my Rebecca of yours truly on East’s premier horse, Grammercy Flow. I don’t look as comfortable as East does. But I do know how to ride even if I have forgotten my early years of galloping after South American ostriches on the flat pampa while listening to the “tero-tero” (Vanellus chilensis). I could not put my finger on why it was that I felt comfortable in a Texas plain. Perhaps it had to do with my four years at St. Edward’s High School in the mid to late 50s. In many respects this penguin got a taste for that peculiar American way of life that is unique (or was unique) to Texas. This involved seeing women in bobby socks raise their right hands in what in Italy is the sign for cornuto (the thumb and little finger extended) in praise of their University of Texas football team (hook’em horns) and listening to my favourite Brenda Lee rasp out her tunes. It involved being taught my Brothers of Holy Cross who with a few exceptions were not from Texas and their drawls were, like Brother Edwin’s, from New Orleans. Somehow my experience with an American way of life was centered in Texas. But it was in the beginning of my tenth grade that a young cowboy (taciturn he was) came into our dormitory. He was in the 9th grade but there was no room for him in that other 9th grade dorm. I watched him and noticed the dust, his boots, his Western shirt, his floppy hat, his look and I found not an alien but what surely was someone that I was familiar with. He was not a gaucho and he was not wearing bombachas held up by a rastra nor did he wear a facón or a pair of alpargatas. His boots were definitely Texan. Because we were from separate school years we were never close but somehow I kept a watch over him. How could I have known then that our alliance was that of a polar bear to a penguin? 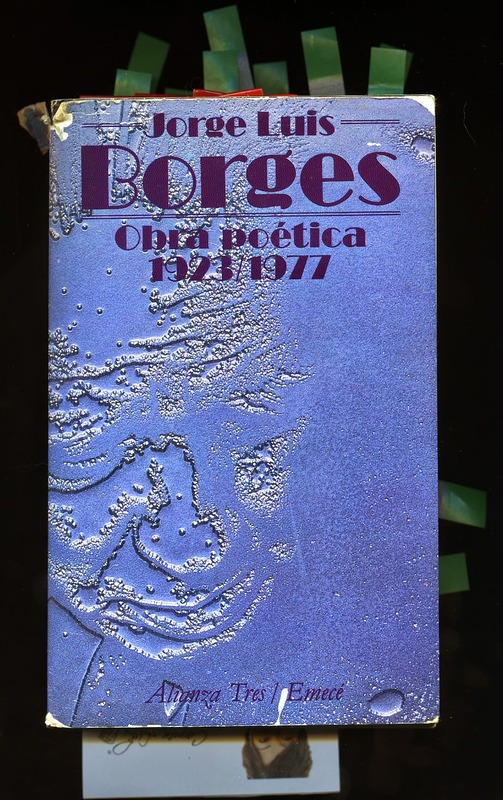 I must clarify here that at my bedside table I always have a worn Jorge Luís Borges – Obra Poética – 1923/1977. Anxious, and brief affair that is life. Quite a few years later her former boyfriend told me that Lorien had answered a newspaper ad by a Victoria painter who was looking for a big breasted woman to pose for a book cover, something to do with a noir private eye. Lorien picked up sticks and was off. Around 1989 I had to go to Victoria to take photographs for a BC text book being published by Douglas & McIntyre. While walking downtown I ran into Lorien who invited me to her house to meet the painter. I remember we had very good spaghetti. And that was the end of it. In the last few days of August I noticed that I could no longer sleep on the bed undraped. This is one of the pleasures of the tropics and just for a few weeks we can enjoy the simulacrum in the city of the cyan skies. I now long for next summer. In some way Lorien’s pictures have been able to put a gentle halt of this waning summer. 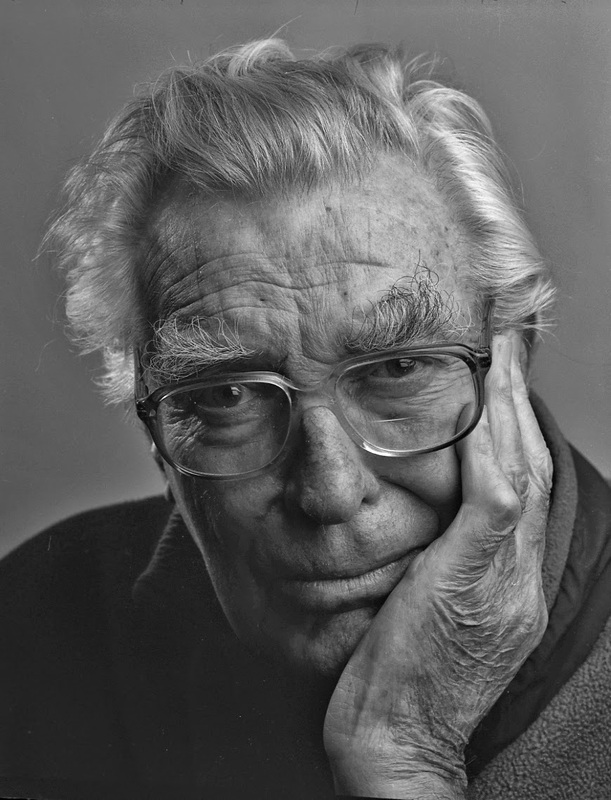 In not most of my birthdays and in a not so distant past I have sometimes taken my portrait. Today August 31 (I am writing this today) I decided to take my picture to prove a point. 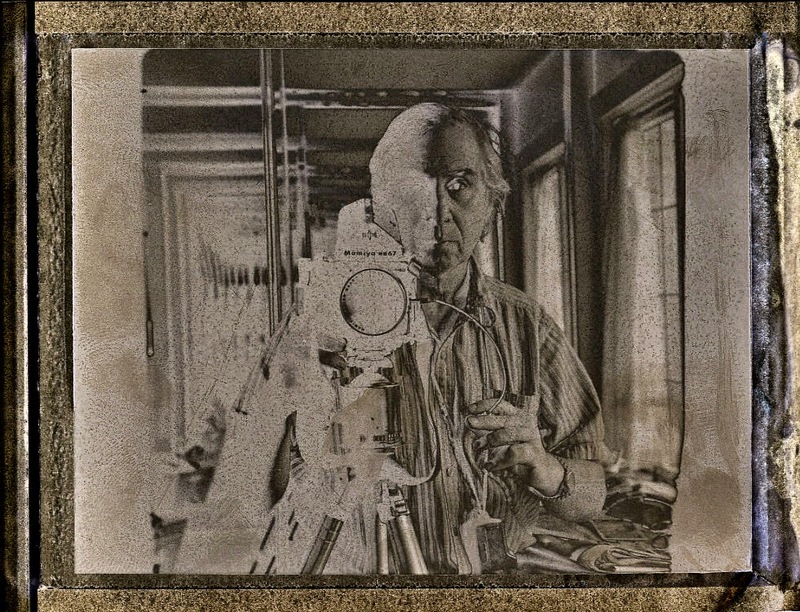 My point in short (but I will elaborate) is that a contemporary selfie means nothing. It has to be compared with what came so we can imagine what will come. I have faced some women I liked at cafés when I was a younger man and as I was listening to them talk sometimes a curious event would happen. Their voice would become an intelligible drone and suddenly the woman would age before my eyes. The aging in some cases was pleasant, in others they became bitter and old. I have never known if any of those women might have had the talent in my direction. If they did would they have seen what I saw today in my Fuji FP-3000B Instant b+w snap shot? Compared with the snap (it was Polaroid Instant b+w negative film) I took on August 31, 1987 there is lots of light that has diminished in my eyes in the current exposure. There was an awareness about whom I thought I was in that former snap while in today’s there is more of a resignation of balancing the successes with the defaults and failures. I cannot understand this trend of the selfie. Already in my past when I photographed celebrities the accompanying writer would invariably ask to pose by them for some sort of posterity. At the very least these pictures were taken with portrait lenses and good lighting. Now selfies distort faces with the wide-angle effect built into the smart phones. Since those using them cannot correct the distortion they now accept it as a cool alternative. In social media I see little posting of stuff designed, created, built, written, or taken by those posting except for those selfies. At the very least we (I) must acknowledge and praise that they are original (created) content and not borrowed. Shared, more often than not, is sharing the borrowed and rarely the created. Selfies are original, unfortunately they come a dime a dozen. 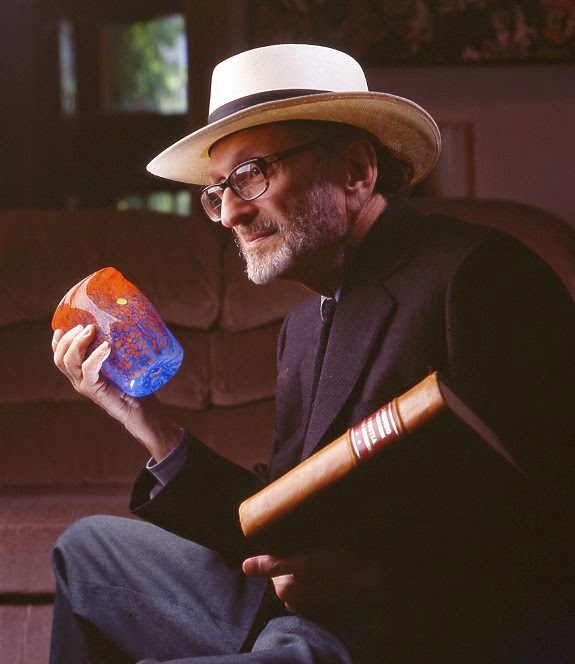 On August 28, 2009 Vancouver architect Abraham Jedidiah Rogatnick died. 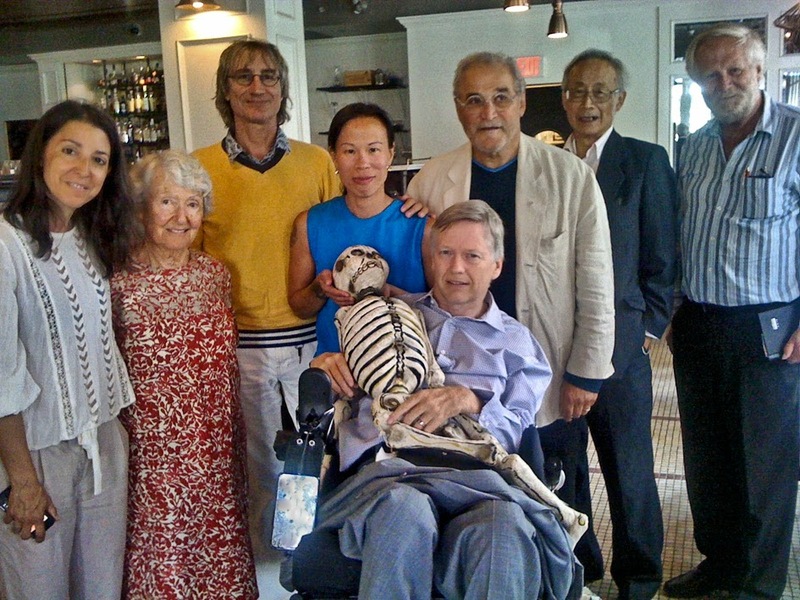 Last Thursday, August 28, 9 former friends met at Opus Hotel’s La Pentola for lunch to converse (not talk or chat) about the man and how he touched our lives. The lunch was instigated by Liberal MLA Sam Sullivan and his wife Lynn Zanatta. The lunch would have included 10 except architect Geoff Massey wrote the wrong date on his diary. The t-shaped table was anchored on one side by Sullivan and by architect Bruno Freschi and landscape architect Cornelia Han Oberlander on the other. Sullivan has a favourite curiousity which is to always ask, “What are you doing now?” After listening to all the 8 present I came to the conclusion that I was the single interloper living in obsolescence and redundancy. Architect Joe Way is attempting to keep the spirit and the look of Vancouver’s China Town alive. Of all of us he was not only taught by Rogatnick but lived in close proximity (next door) to the man on 11th Avenue across from George Bowering. Both Bowering and Wai live in silence by the birthday cake that replaced the demolished Rogatnick residence. Video artist Clancy Dennehy and his wife Carolyn Chan (a Butoh dancer) are working on joint projects while Dennehy is planning and organizing a Wikipedia page for Rogatnick. Sullivan our very own philosopher/king politician (deftly organized by his wife Lynn Zanatta) still finds time to have his salons where people must say good stuff in very little time. This is a challenge if you consider that most now say nothing in a long time. Dr. Charles Barber, Artistic Director of City Opera Vancouver, is basking in the success of his organization’s mounting of the Margaret Atwood and Tobin Stokes opera Pauline which received good reviews. He is currently in the planning stages of an opera on the missing women that Robert Picton murdered as seen by the sister of one of the women. I must add that Rogatnick and I were present at a special recital by Judith Forst in which Stokes was chosen as the composer for the Pauline opera. But I must leave to the end the best. We were all wowed by the intelligence, energy and lucidity of 93 year-old Cornelia Oberlander who is not retired. I must repeat, she is not retired. We found out that this Harvard graduate (along with Rogatnick and Massey) worked with the likes of architect Louis Kahn. It was a surprise, a delightful surprise to find out that when Oberlander spotted the notification for the building of a new Main Vancouver Public Library, that she called up architect Moishe Safdie and told him, “Let’s apply.” The rest of course is monumental history. I asked Obelander why access to the library’s green roof ( an Oberlander passion, these green roofs that help offset the encroaching concrete of expanding cities) was still restricted. She almost got as angry about this bureaucratic SNAFU as she did about Bartell’s railroading our city to move the Vancouver Art Gallery. We all contributed to this as it was also a Rogatnick crusade to keep the gallery where it is. It was further illuminating to have Wai, Freschi and Oberlander explain to us all the ways that the gallery could remain. Since Oberlander did the landscaping for Robson Square she knows that the Erickson plan was to extend the gallery down towards the law courts. That space has been ruined (I must repeat this, ruined) by the folks at UBC. When it is convenient they are out in the Endowment Lands and they are separate from our city. When it is convenient they are in the city, at Robson Square. At Robson Square they have killed all the city discourse on the arts and city living that we used to enjoy at the beautiful Judge White auditorium where Rogatnick was roasted by the Vancouver Urbanarium Society. It was at that auditorium where I heard Erickson (as a sitting spectator) enlighten us on how our city should be. To this day many will we aware of the city presence of Simon Fraser University. They have organized a rich cultural experience for us. How many know about UBC in our city? What do they do? Is their bookstore in Robson Square still around? My guess is that UBC is busy building a city of condos on their main campus which will eventually tax our transportation system or increase car traffic. “Not green,” Oberlander would say. But that was not all Oberlander enlightened us about. She has been working in the far north and she has exact knowledge on the encroaching global warming. She cites how building on permafrost now necessitates pilings at least twice the length to find firm and frozen ground. There is not enough gravel to stabilize Harper’s new construction of a highway. She talked about the far too-low Richmond sea wall and how Waikiki will soon be a fond memory of long departed beach. Having really no choice in this year’s candidates for mayor (¿Cuál es el menos malo?) I think that the prospect of a philosopher/queen for mayor would be an excellent solution. I miss Abraham Jedidiah Rogatnick but Thursday was ample proof that indeed there is good left in our city and in us. And we all have that man to thank for.